There are people out there that eschew the comforts of mattresses, choosing instead to sleep directly on the floor with minimal padding. I am one of them. Different sleeping surfaces create different loads to your body’s tissues. Loads experienced from a soft squishy mattress will be entirely different from loads experienced, when forces applied are from a firm mattress, futon, camping pad, or ground tarp. One can apply the analogy of footwear to sleeping surfaces. Heel height, toe box size, upper robustness, and sole rigidity/thickness can unnaturally load your feet to varying degrees. Shoes put unnatural forces on your feet and among many other things (alignment, walking/standing surfaces, amount and repetitiveness of movement, etc. ), are implicated in poor foot mobility, flexibility, and strength and in many foot maladies including plantar fasciitis, bunions, metatarsalgia, Morton’s neuroma, etc. The tissues of your shod feet would respond one way to constantly running on flat, unvarying, hard asphalt/concrete and another way completely to walking barefoot or minimally shod over natural terrain with its rocks, roots, divots, sand, water, prickles, grass, moss, sticks, and inclines. Your bed is the unnatural equivalent of a flat, hard surface for your feet with its attending maladies. Sleeping on a minimally padded floor or the naturally padded earth is like walking barefoot in nature, with its ensuing health benefits. My teacher, biomechanist Katy Bowman’s concept of casting comes into play with mattresses. She describes casts/casting as the habitat in which we dwell that prevents full use of our body. Obviously, shoes and flat walking surfaces are casts, because they keep us from using our intrinsic foot musculature and attaining full range of motion in the joints of our feet and ankles. A chair is a cast for anyone, who sits at a desk job for 9 hours a day, as it prevents your spine, hips, and knees from moving through their full ranges of motion and it keeps large chunks of your body inert and denervated. Bras are casts too. A mattress is one of your biggest, most insidious casts because of the amount of time that you spend there. Sleeping on a mattress is the new sitting. In the same way that there is no ideal sitting or standing position, there is no ideal sleeping position. Our bodies, over millions of years of evolution, adapted for full-body, natural, all day movement, not sitting, standing, or sleeping in casted positions. A modern bed is different from that for which our physiology is adapted. Hunting and gathering, which humans and human-like ancestors did for upwards of 3 million years, adapted our bodies to sleep on the ground. Sleeping on a mattress is a novel development. Daniel Lieberman, Professor of Human Evolutionary Biology at Harvard University, in his brilliantly researched, illuminating book The Story of the Human Body: Evolution, Health, and Disease considers that back pain could be a mismatch disease/injury because your soft and comfortable mattress may weaken your back. A mismatch disease/injury (back pain) occurs when human features were adaptive in the environment in which they evolved (sleeping on the ground) but have become maladaptive in modern environments (use of a soft, cushy mattress). The nature of a mattress, regardless of its firmness rating, is to conform to your body and its attending misalignments, a soft-cast of sorts meant to provide you with complete comfort. Always sleeping on something flat and squishy has altered the mobility and sensitivity of your parts. Your pillow may be an even worse orthotic than your mattress. It reinforces the head position that it creates, which is a head forward position that is implicated in shortening of muscles that run between the back of your skull and the first and second vertebrae in your neck. When these muscles are not able to return to their optimal resting lengths because they’ve been chronically tensioned by your pillow, joint degeneration and disc issues (in your neck!!) can occur. A pillow prevents the very motion that you often do naturally when your neck feels tight or in yoga class, which is drop your ear toward your shoulder for a good neck stretch. If you were sleeping without a pillow, your neck would regularly go into this range of motion as your roll onto your side. Sleeping directly on the earth with no or only natural padding is the gold standard – equivalent to barefoot walking in nature and still a luxury for some cultures around the world and a few hard-core westerners. The closest most people will come in their daily lives, however, will be sleeping on hard flat floors with minimal non-natural padding. All the same, the benefits over sleeping on a modern mattress with a pillow are significant. The forces of a minimally padded floor provide a variety of loads to your body’s tissue that don’t occur on soft-casting mattresses, because you move more without external resistance inherent in a body-conforming mattress. This results in greater ranges of motion for joints that are underused at best, or completely immobile on a mattress. The pressure of a hard surface provides a passive massage to your muscles each time you move, thereby causing mechanotransduction of your cells that facilitates circulation, electricity, and waste removal. In addition to facilitating your body’s natural geometry (positioning of your parts to each other and to the floor) and providing a nightly tissue regenerating massage, sleeping on the floor allows gravity to traction those parts of you, like your neck, helping to restore your muscles to their optimal resting length. Just as sitting on the floor provides yin yoga style benefits of naturally stretching and tractioning muscles and connective tissues in your hips, sleeping on an unyielding surface is where natural neck stretching occurs. An additional benefit of floor sleeping is that it gives you at least one opportunity, and probably more, to get down onto the floor and up again. If you go from sleeping on a bed one night to sleeping on the floor the next, without a transitional ramping down period, it’s going to be quite uncomfortable and may undermine your success. This could happen not because the floor is too hard, but because your body is “out of shape” for floor sleeping. You wouldn’t start a running program by doing a half-marathon. You would train by slowly increasing your miles, speed, and frequency, with plenty of rest days. Same with moving to the floor. If you exceed the boundaries of your tissues’ ability to adapt; and create loads that are more than what you body is used to, you may suffer. By transitioning slowly and systematically towards progressively more minimal sleeping surfaces, you will gradually load your tissues so that they can adapt to your new sleeping routine. 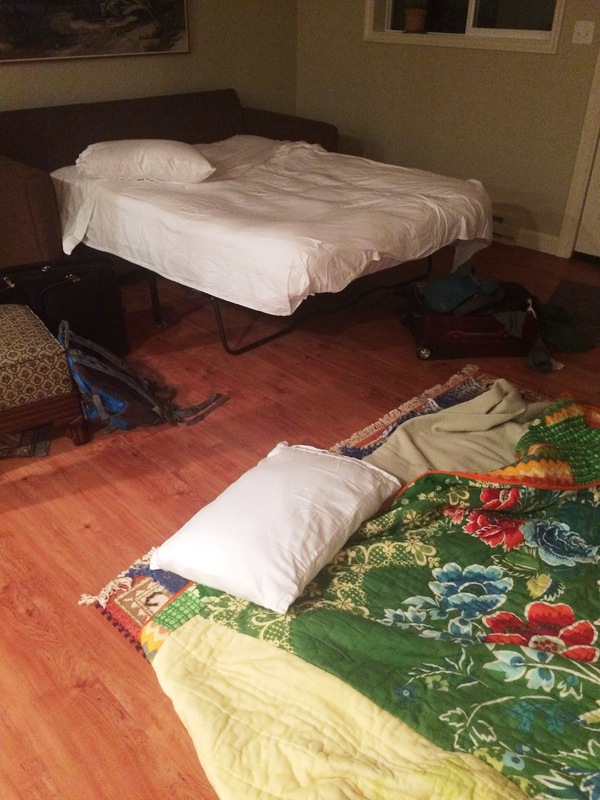 Katy Bowman writes about transitioning away from a mattress. I’ve distilled her suggestions, and added a few of my own. You’ve been sleeping on a mattress all of your life, so take time – weeks, months – to transition to the floor. You can follow a similar transition pattern for your pillow, going from thick and dense to thin and feathery to a folded towel, etc. My story is a classic case of do as I say, not as I do. I transitioned, in one night, from a dense, squishy, memory-foam type mattress to two stacked blankets folded lengthwise on top of a hardwood floor with no pillow. The first 5 nights I experienced distressing this-is-why-i-haven’t-camped-in-10-years aches and discomforts. I moved around a lot to get comfortable and I was awakened every time I shifted in my sleep and reminded of how hard the floor felt. I suspected maybe I was making a big mistake – until I got up that first morning. Even though I had felt uncomfortable while I was on the floor, when I got up, there was NO stiffness to be found. I popped right out of “bed” and was completely mobile, buoyant, and fully alert. So I kept at it another five nights and noticed that I was beginning to feel more comfortable – less intentional position changing, less awakening when I shifted in my sleep, less sensitivity to the hardness. At about two weeks, I returned to the bed one night to see how that would feel. Immediately, what I call my “restless shoulder syndrome” returned. All night long, I was back to moving my arms over my head and back to my sides again and again to find comfort, but never finding it. Sleeping on my sides, I experienced that familiar ache in my shoulder joints. When I slept on my back, I discovered the mattress rounded my shoulders forward into an unnatural internal rotation, causing tingling and an unbearable urge to change position. When I became too uncomfortable, I would flop over onto my belly, but then my neck joined the chorus of discontent. Finally, in the early hours of dawn, I crawled back onto the floor and unbelievable relief and knew, immediately, viscerally, that I would never sleep on a mattress again. Over the next three months, there were occasional nights where my bony pelvis and tailbone would dig into the floor. At one point, I was beginning to experience a pressure sore on my tailbone. So that night, I reached for the faux sheep’s skin pad that used to extend my floor bed for Jolie the dog, when she wanted to co-sleep with me. Even though I had clearly experienced a decline in status from my partner and our other two dogs, who continued to sleep on the bed, Jolie is loyal and likes to snuggle, so I had placed that pad next to my floor bed for her. Anyway, on that night, while she was up with the higher-ranking members of our pack, I slid her pad under my hips and immediately transformed my bed. This addition of ¼ inch padding when squished, was enough to eliminate any further bony discomfort. 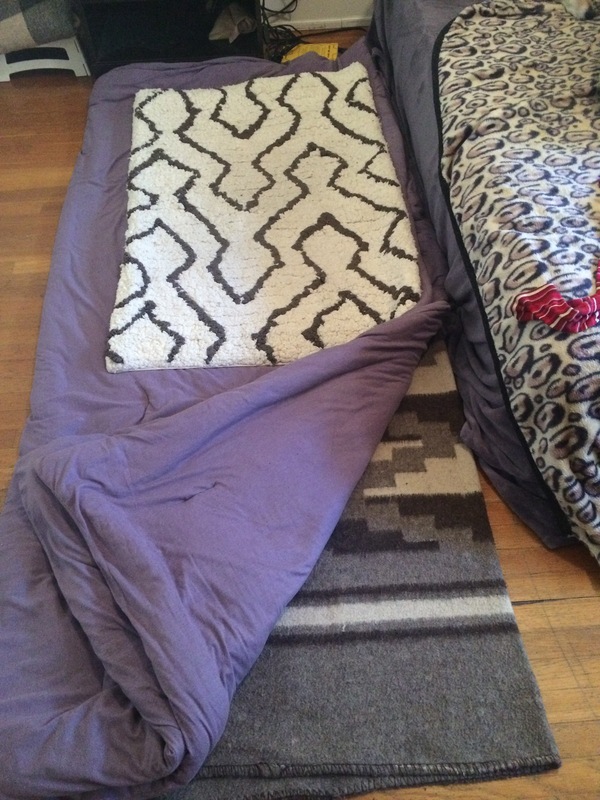 While I am perfectly delighted with the quality and comfort of my floor bed, I would prefer to sleep with my partner, thus I am making a more permanent floor bed for us out of stacked wool blankets that will be tufted together into a 2 inch thick sleeping pad, with inspiration from Pinterest and the DIY Internet people. I’ll post images when it is complete. Here is a picture of where I currently sleep. It is comprised of a pendleton-like wool blanket and a standard comforter, both folded length-wise, and topped with Jolie the dog’s faux sheep skin pad. And this is what happens when you invite us to sleep over at your house. I’ve done some cursory searches of the scientific research literature – enough to tell you that there are few studies on sleep surfaces and almost nothing on ground/floor sleeping in the anthropological, biomechanical, or medical literature. However, what I have read is interesting and I will share in a follow-up to this post. In 30 Days, You Too Can Type and Play the Piano with Your Toes! Got your attention? Ok, I made that up, but you can improve the dexterity of your feet. 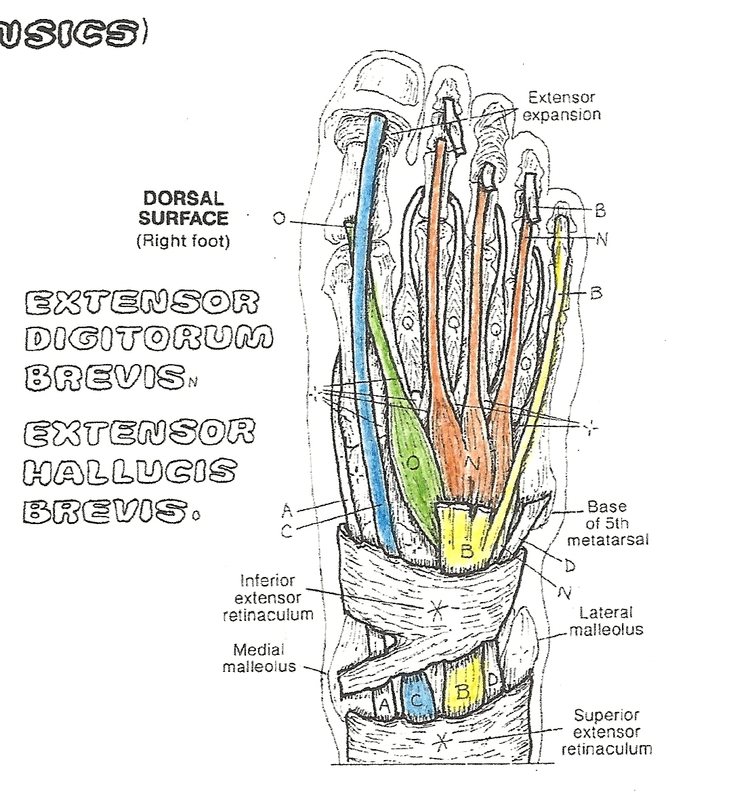 The intrinsic muscular anatomy of your feet is very similar to that of your hands with the exceptions that none of the digits are opposable and there is not the ability to “cup” your foot as you can cup your palm. In theory, then, your feet should be able to move much like your hands. 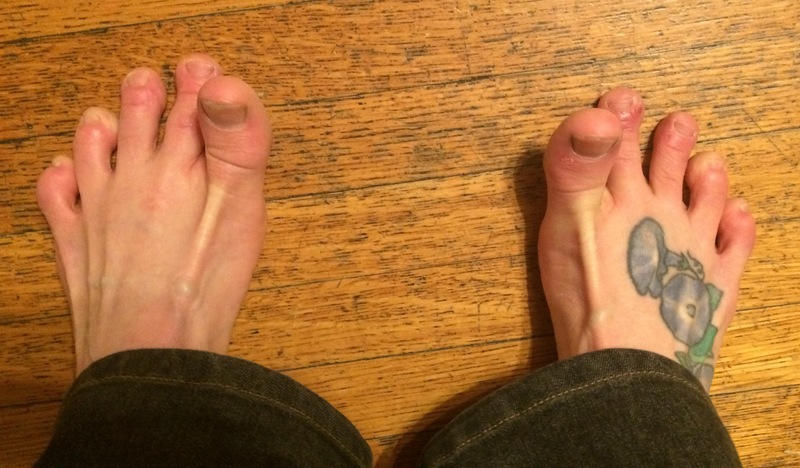 You need only look at a homunculus, which is a representation of a human, but whose parts or dimensions are mapped to areas of the brain devoted to those parts, to see the vast potential of your feet. 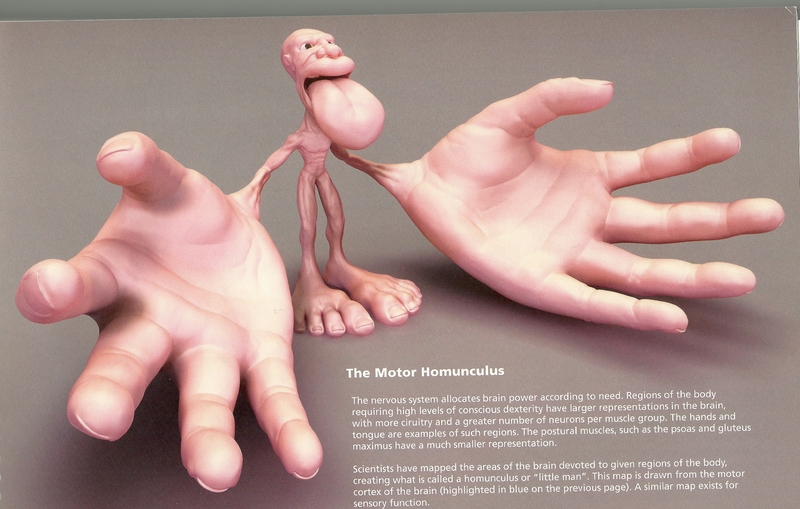 In a homunculus, parts of the body that require the highest levels of dexterity have larger representations in the brain, more circuitry, and more neurons per muscle group. As you can see, the feet require a significant amount of brain power, which tells me that there is a lot of wasted potential for dexterity. You toes, casted inside your shoes for hours, days, weeks, months, years, generations, are weak. They feel tight. You may not have attempted to move them independently of your foot or independently of each other for a very long time. I know a simple (but not necessarily easy) test and exercise you can do to evaluate and strengthen the motor nerves and toe extensor muscles of your feet. This can be done standing, sitting on the floor, or sitting in a chair. Simply lift your big toes (called extension) without lifting your other toes.This gives you an indication of the health of the neural pathway that exists between your brain and your feet. If you are unable to lift your toes, your foot is not properly innervated, circulation to that area is poor, and you are accumulating cellular waste that is not being removed by your lymph system because your circulation is poor. You are negatively impacting your gait since your big toes plays a huge role in gait biomechanics. If you are not toeing off properly in gait, all of your major joints will suffer. 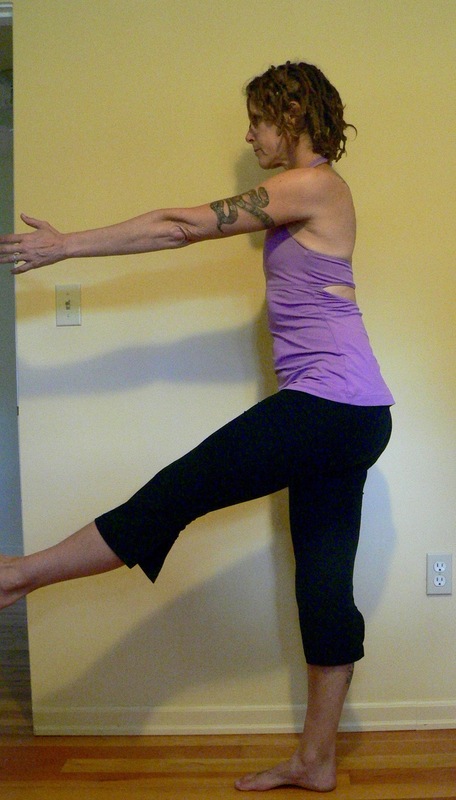 If this is easy, then attempt to keep the big toe lifted, while you lift your second toe to join it. Still easy? Add the third toe, and so on. Try to put them down in reverse order, pinky toe first. Here is a list of variations of the toe extensions in order from easiest to more difficult – for me, anyway. You may find the ordering different for your puddins. Try them first one foot at a time. Once you master them, try both feet together. Lift big toe, put it down, repeat 10 times. Repeat any of the following variations multiple times. 8. 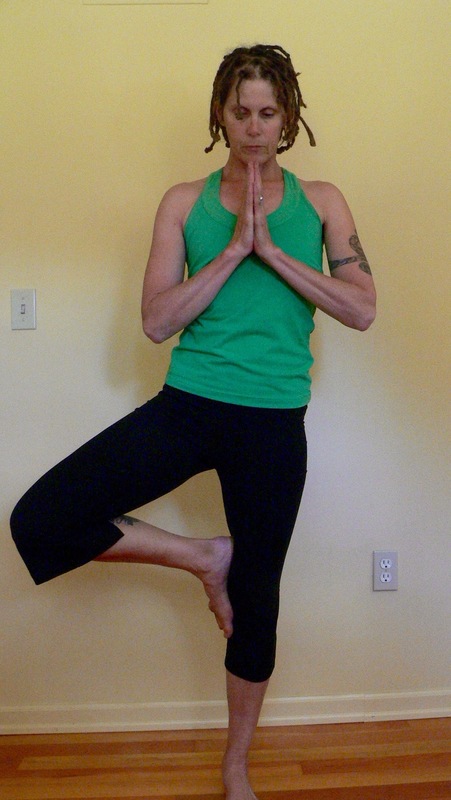 Lift your second toe, and only your second toe; place it back down, Lift your third toe, solo, place it back down. 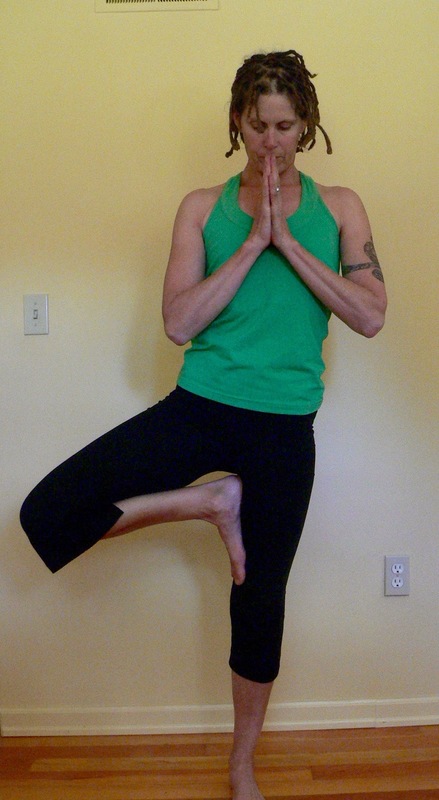 Lift each of your toes independently of the others. Practice this every day and in 30 years, you will be able to type with your toes! Anatomy Bit. 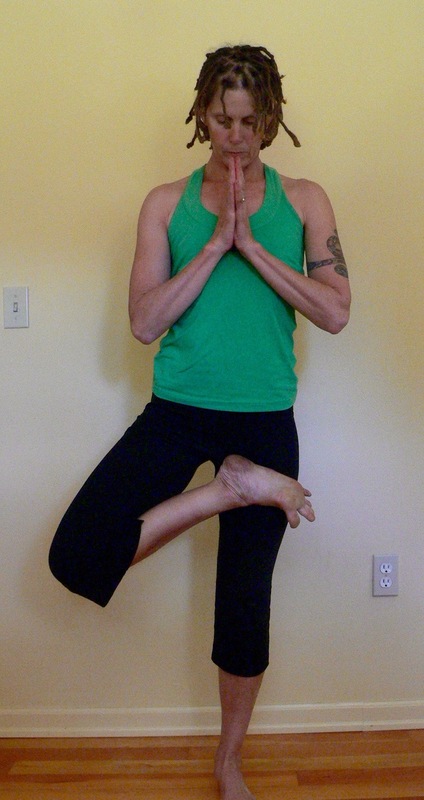 What muscles lift aka extend the toes? 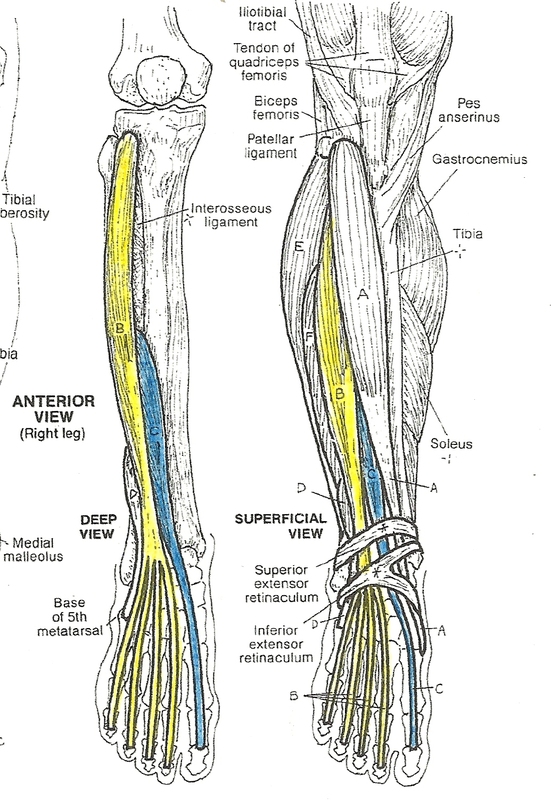 Above image is the dorsal or top of the foot with a section of extensor digitorum longus in yellow cut away to reveal the intrinsic muscles beneath (orange). The Homunculous comes courtesy of my favorite anatomist/physician/yogi, Ray Long, whom I had the privilege of taking a workshop with in Vancouver, BC last September. It comes from his very excellent and would-be-dog-eared-if-it-wasn’t-of-such-high-quality spiral bound anatomy book Scientific Keys Vol. II: The Key Poses of Hatha Yoga by Ray Long (2008) Spiral-bound. This book comes in a non-spiral bound edition for less money, but I really like the option of having it lie open while I practice asana. The muscle images come from The Anatomy Coloring Book (4th Edition). This book gives you a multi-dimensional way to learn bones, muscles & ligaments. And coloring is fun! Yoga and other movement teachers, Ray Long’s book is my go-to book to understand and explain what is happening in my students’ body during postures – what muscles are contracting and how; what muscles are stretching and how; which muscles are helping; and most interestingly, how a student can manipulate her musculature to increase her range of motion during a particular posture. 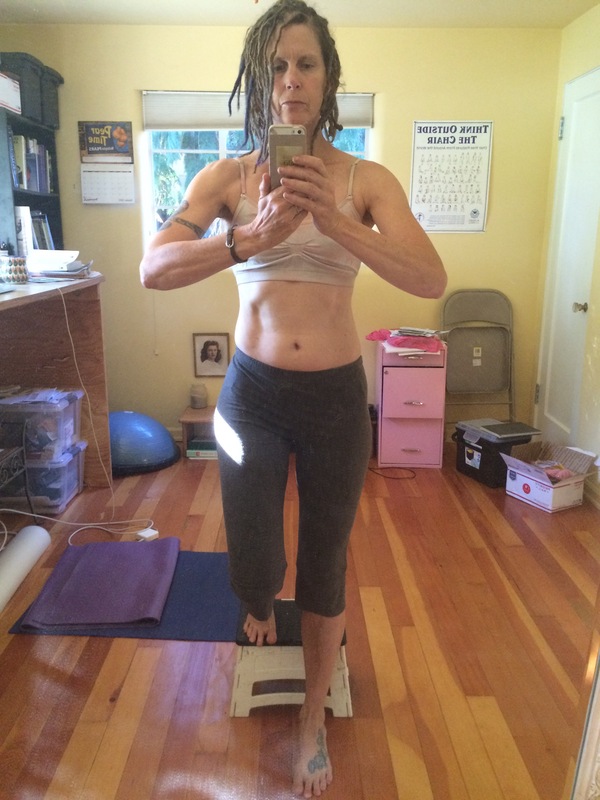 This book absolutely transformed my Virabhadrasana 1 (Warrior 1).